We are delighted to invite you into - Solares de Portugal - our splendid homes range from stately manor houses and elegant country houses to farm houses and rustic cottages, each with its own individual character. Embracing Portugal's finest antiques, fine art and furniture, they represent Centuries of Portuguese history and culture. The owners will greet you with a warm welcome and will share their knowledge of local places of interest to visit, festivals, local gastronomy and traditions. Solares de Portugal are family homes as opposed to hotels, offering a very different kind of holiday experience with that personal touch. All our houses have been arranged into three distinct groups: Casas Antigas (Manor Houses and stately homes), Quintas e Herdades (Farmhouse and country states) and Casas Rústicas (Country Houses). Each property has been individually inspected to ensure the highest standards of quality and hospitality. Many Solares de Portugal have played host to the same family for hundreds of years and often date back to the 16th and 17th centuries. Guests at Solares de Portugal properties will find a range of leisure opportunities at their disposal, such as fishing, hunting, golf, swimming, rambling, horse riding, cycling and wine tasting. 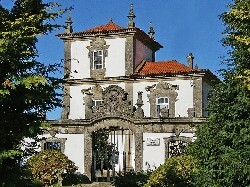 Casas Antigas are elegant manor houses and stately homes most often originating from the 17th & 18th Centuries. Their architecture is of great heritage significance, the various styles reflect the distinct chapters in the history of Portugal. Quintas e Herdades are agricultural farms and country estates, within a rural setting and atmosphere, whose main houses encompass architectural styles from the classic to the rustic. These are distinguished by their type of construction, being of simple architectural style and utilising regional materials. Generally of smaller dimensions, they contain simple and practical, but comfortable furnishings. Located in the heart of rural villages or within farms, they offer an excellent opportunity to appreciate the peace and tranquillity of country life.